Kumpulainen, K., Sintonen, S., Vartiainen, J., Sairanen, H., Nordström, A., Byman, J., & Renlund, J. (2018). Playful Parts: The Joy of Learning Multiliteracies. Helsinki: Kiriprintti Oy. Sintonen, S., Kumpulainen, K. & Vartiainen, J. (2018). Young children’s imaginative play and dynamic literacy practices in the digital age. In G. Oakley (Ed. ), Mobile Technologies in Children’s Language and Literacy: Innovative Pedagogy in Preschool and Primary Education (pp. 15-28). Bingley, UK: Emerald. Sintonen, S. (2018). Children’s produced graphical instructions in music as a multiliteracy act. FJME Finnish Journal of Music Education, 21(2), 54-64. Marsh, J., Arnseth, H. C. & Kumpulainen, K. (2018). Maker literacies maker citizenship in the MakEY (Makerspaces in the Early Years) project. Multimodal Technologies and Interaction. 2 (3), 19. Kumpulainen, K., Kajamaa, A. & Rajala, A. (2018). Understanding educational change: Agency-structure dynamics in a novel design and making environment. Digital education review. 2018, 33, 26-38. Lipponen, L., Kumpulainen, K., & Paananen, M. (2018). Children’s perspective to curriculum work: Meaningful moments in Finnish early childhood education. In M. Fleer and B. van Oers (Eds. ), International Handbook on Early Childhood Education (pp. 1265-1277). Amsterdam: Springer. Kangas, J. & Fonsén, E. (eds.) 2018). Leikin ammattilaiset: Leikki ilmiönä ja varhaiskasvatuksen keskeisenä toimintamuotona. (Opettajankoulutuslaitoksen muut julkaisut). Helsinki: Helsingin yliopisto. Livingstone, S., Lemish, D., Lim, S.S., Bulger, M., Cabello, P., Claro, M., Cabello-Hutt, T., Khalil, J., Kumpulainen, K., Nayar, U.S., Nayar, J., Tan, M.M., Prinsloo, J., & Wei, B. (2017). Global perspectives on children’s digital opportunities: an emerging research and policy agenda. Pediatrics, 140, 137-141. Kumpulainen, K. (2017). 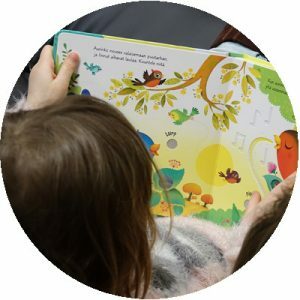 Picturing voice: Visual methods and children’s voices in Finnish education. IMAGE, 3(1), 210-212. Kangas, J., & Brotherus, A. (2017). Osallisuus ja leikki varhaiskasvatuksessa: ”Leikittäisiin ja kaikki olis onnellisia!”. teoksessa A. Toom, M. Rautiainen, & J. Tähtinen (Eds. ), Toiveet ja todellisuus: Kasvatus osallisuutta ja oppimista rakentamassa (Sivut 197-223). (Kasvatusalan tutkimuksia; Nro 75). Turku: Suomen kasvatustieteellinen seura. Hilppö, J. Rajala, A., Zittoun, T., Kumpulainen, K., & Lipponen, L. (2016). Interactive dynamics of imagination in a science classroom. Frontline Learning Research, 4(4), 20- 29. Kumpulainen, K. & Hurme, T-R. (2016). Supporting hospitalized children’s agency through digital technologies and media. In H. Niemi & J. Jia (Eds. ), New ways to teach and learn in China and Finland: Crossing boundaries with technology (pp. 173-193). Frankfurt am Main: Peter Lang. Rajala, A., Martin, J., & Kumpulainen, K. (2016). Agency and learning: Researching agency in educational interactions. Learning, Culture and Social Interaction, 10, 1-3. Hilppö, J., Lipponen, L., Kumpulainen, K., & Rajala, A. (2016). Visual Tools as Mediational Means: A Methodological Investigation. Journal of Early Childhood Research, 15(4), 359-373. Hilppö, J., Lipponen, L., Kumpulainen, K., & Rainio, A. (2016). Children’s Sense of Agency in Preschool: A Sociocultural Investigation. International Journal of Early Years Education, 24(2), 157-171. Kumpulainen, K. & Mikkola, A. (2016). Toward Hybrid Learning: Education and Learning in the Digital Age. In E. Elstad (Ed. ), Educational Technology and Polycontextual Bridging (pp. 15-37). Rotterdam: Sense Publishers. Mikkola, A. & Kumpulainen, K. (2016). Learning as a hybrid: Educational engagement in the digital age. In O. Erstad, K. Kumpulainen, Å.Mäkitalo, K., P. Pruulmann-Vengerfeldt & T. Jóhannsdóttir (Eds. ), Learning across contexts in the knowledge society (pp.163-177). Amsterdam: Sense Publishers. Niemi, R., Kumpulainen, K., & Lipponen, L. (2016). Pupils’ participation in the Finnish classroom: Turning the UN Convention on the Rights of the Child into pedagogical practices. In J. Gillett-Swan, & V. Coppock (Eds. ), Children’s Rights, Educational Research and the UNCRC (pp. 81-100). Oxford: Symposium Books. Rajala, A., Kumpulainen, K., Hilppö, J., Paananen, M., & Lipponen, L. (2016). Connecting learning across school and out-of-school contexts: A review of pedagogical approaches. In O. Erstad, K. Kumpulainen, Å.Mäkitalo, K., P. Pruulmann-Vengerfeldt and T. Jóhannsdóttir (Eds. ), Learning across contexts in the knowledge society (pp. 15-36). Amsterdam: Sense Publishers. Kumpulainen, K., Theron, L., Kahl, C., Bezuidenhout, C., Mikkola, A., Salmi, S., Khumalo, T., & Malmivaara-Uusitalo, L. (2015). Children’s positive adjustment to first grade in risk-filled communities: A case study of the role of school ecologies in South- Africa and Finland. School Psychology International, 37(2), 121-139. Hilppö, J., Lipponen, L., Kumpulainen, K., & Virlander, M. (2015). Sense of agency and everyday life: Children’s perspective. Learning, Culture and Social Interaction, 10, 50-59. Paananen, M., Lipponen, L., & Kumpulainen, K. (2015). Hybridisation or ousterisation? The case of local accountability policy in Finnish early childhood education. European Educational Research Journal, 14(5), 395–417. Niemi, R., Kumpulainen, K., & Lipponen, L. (2015). Pupils as active participants: Diamond ranking as a tool to investigate pupils’ experiences of classroom practices. European Educational Research Journal, 14(2),138-150. Kumpulainen, K., Mikkola, A., & Salmi, A. (2015). Osallistava visuaalinen tutkimus ja lapsen äänen tavoittaminen. In M. Böök, Mustola, M., A-V. Kärnä, & J. Mykkänen (Eds. ), Visuaaliset menetelmät lapsuuden- ja nuorisotutkimuksessa (pp. 136-144). Helsinki: Nuorisotutkimusseura/ Nuorisotutkimusverkosto. Kumpulainen, K., Karttunen, M., Juurola, L., & Mikkola, A. (2014). Towards children’s creative museum engagement and collaborative sense-making. Digital Creativity 25(2), 233-246. Kumpulainen, K. & Lipponen, L. & Hilppö, J. & Mikkola, A. (2014). Building on the Positive in Children’s Lives: A co-participatory study on the social construction of children’s sense of agency. Early Child Development and Care, 184(2), 211-229. Sairanen, H. & Kumpulainen, K. (2014). A visual narrative inquiry into children’s sense of agency in preschool and first grade. International Journal of Educational Psychology, 3(2), p. 141-174. Leinonen, J., Brotherus, A., & Venninen, T. (2014). 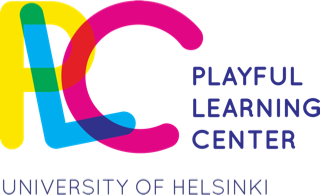 Children’s participation in Finnish pre-school education – Identifying, Describing and Documenting Children’s Participation. Nordisk Barnehageforskning, 7(8), 1-16. Lipponen, L., Kumpulainen, K., & Hilppö, J. (2013). Haluan, voin ja osaan: Lasten toimijuuden rakentuminen päiväkodin arjessa. In K. Karila & L. Lipponen (Eds.). Varhaiskasvatuksen pedagogiikka (pp. 159-175). Tampere: Vastapaino. Córdova, R. A., Kumpulainen, K. & Hudson, J. (2012). Nurturing creativity and professional learning for 21st century education: ResponsiveDesign and the Cultural Landscapes Collaboratory. LEARNing Landscapes 6(1), 155-178. Kumpulainen, K. & Lipponen, L. (2012). Crossing boundaries: Harnessing funds of knowledge in dialogic inquiry across formal and informal learning environments. In P. Jarvis, & M. Watts (eds. ), The Routledge International Handbook of Learning (pp. 112-125). London: Routledge, Taylor & Francis Group. Kaartinen, S. & Kumpulainen, K. (2012). The emergence of mathematizing as a culture of participation in the early childhood classroom. European Early Childhood Education Research Journal 20(4), 263-281. Lipponen, L. & Kumpulainen, K. (2011). Acting as accountable authors: Creating interactional spaces for agency work in teacher education. Teaching and Teacher Education, 27(5), 812-819. Kumpulainen, K. & Lipponen, L. (2010). Productive interaction as agentic participation in dialogic enquiry. In K. Littleton & C. Howe (Eds. ), Educational Dialogues. Understanding and Promoting Productive Interaction (pp. 48-63). London: Routledge. Kumpulainen, K., & Renshaw, P. (2007). Cultures of Learning. International Journal of Educational Research, 46(3-4), 109-115.